The first thing people notice when they see you is your face. I believe that a proper skincare routine not only goes a long way, but also helps you in the long run as you age. The problem with many is that they want to continue to use the same products they did in their teens right into their twenties, thirties and even some for their forties. Every few years, its wise that you do a skin check and see if what you are using is actually working or if its time to shake things up a bit. Just so you have an idea about my face, I have normal skin on my cheeks that does get dry in the winter if I don't look after it. I am a pretty oily on my nose and a bit less on my forehead and chin. The most oil I have is on my nose which produces an excessive amount of sebum. However I will talk about that in another post and what I used to combat it, keep it under control and get rid of the blackheads. When I hit 32 years old and after having two babies and being pregnant yet again with my third, I took a long hard good look in the mirror and realized that my skincare routine needed to change or my face was going to continue to go downhill. I like to call it the "Diane Mirror Face Check". Reason is because my friend Diane told a group of us once to grab a mirror in good sunlight with no makeup on and examine our face. What I saw was not cute! During that same week I saw a "groupon" in my email for Michael Todds True Organics Damascus Rose Moisturizer face cream which I purchased (click here for that review). However upon checking out their website I noticed that they had some other great products. So I ordered their Dry Regimen Kit for $85 US at that time. They claim their line is almost completely organic. However I am waiting on Paula's Choice to review this to make sure that claim is true. Below is my experience with this product. Disclaimer: I ordered these products back in late 2013. From then till now the products are somewhat the same, but they did change a few things in this kit. However I will review the original contents from when I ordered. 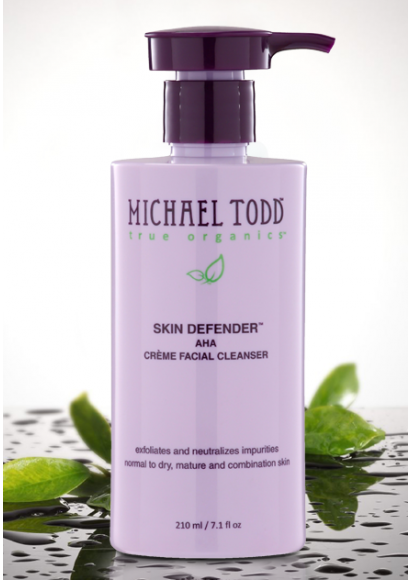 Details: "Skin Defender cleans gently yet thoroughly then rinses without residue leaving skin feeling clean, soft and smooth. Blended with Alpha Hydroxy Acid to improve the appearance of fine lines, blotches and discoloration and Organic Green Tea and Citrus Extracts of Lemons and Oranges to help fight environmental stressors. Skin is more vibrant, even-toned and radiant looking. Prepares the skin for serums and moisturizer." My Review: This cleanser came in a fairly sized bottle which I liked. The pump worked well, and I was able to grip the bottle while wet without having any major issues in the shower. It felt cool on my face and smelled great because it barely had a scent to it. It washed off with no problem and left my face feeling clean and not tight. I love the fact it has AHA in it, however we all know (or should know) any cleanser with AHA doesn't really work that effectively because it isn't on your skin long enough to actually produce an effect. Nonetheless just the fact that it has it is better then nothing at all. So points to them for adding it in. It lasted me for 5 months so that should tell you that it has a fair amount of product inside the bottle. The color is a white creamy texture that is not to liquidity yet not to creamy either. It is just right for what it does. One thing I have to mention is that AHA is safe to use when pregnant which was prefect for me since I was with child at that time! I used this every morning in my skincare routine. Verdict: I would recommend this product because of the size, AHA and other ingredients in it. Details: "Formulated for normal to dry and mature skin types. 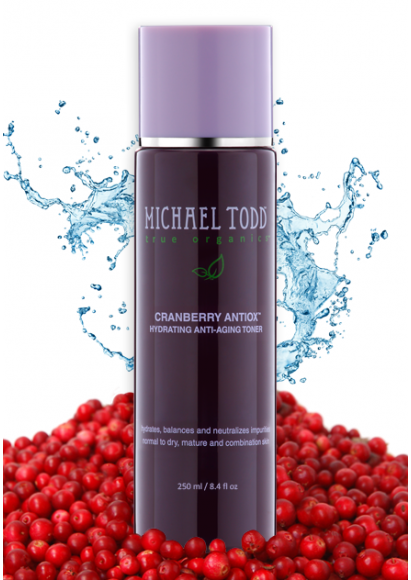 Cranberry and Antioxidant Vitamins help fight bacteria and environmental damage. Contains black willow tree extract recognized for thousands of years for its healing power and fresh, warm, spicy tea tree oil a powerful immune stimulant to help fight infections and promote clearer skin. Restores the skin’s proper pH without the drying effects of alcohol. Leaves the skin feeling cool and refreshed and healthier looking." My Review: A lot of people I read online complained about the smell of this toner. However I never smelled anything. I loved this toner. It cleaned any residual makeup leftover after using the Skin Defender Creme Cleanser. It never left my skin feeling tight and had NO alcohol which was awesome. My face always felt refreshed after and helped to restore the Ph balance on my skin without drying it out. I used this every morning and every night in my skincare routine. Verdict: I would recommend this toner based on the no alcohol content. 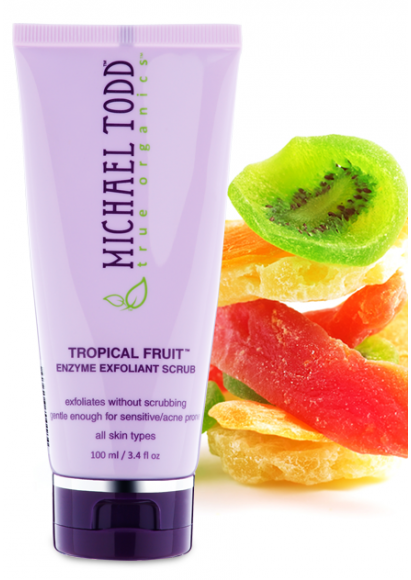 Details: "Naturally fruity refreshing skin treatment that uses the power of Papaya and Pineapple Enzymes as a mild non-irritating exfoliant to remove dead skin, impurities and toxins without irritation caused by scrubbing. Exfoliates, moisturizes and firms, improves elasticity and pliability of the skin, unclogs pores allowing skin to breathe and facilitates movement of skin oils. 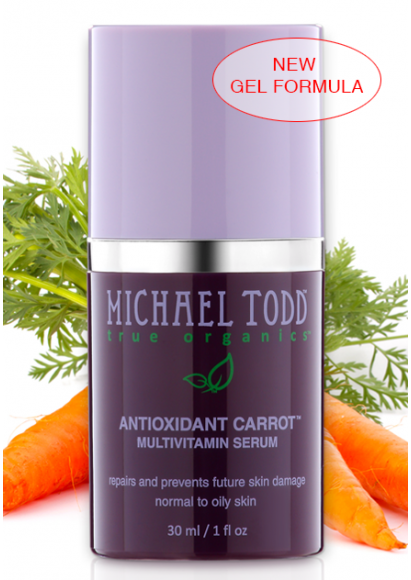 Gently refines skin texture and encourages skin renewal." My Review: I love love love love (did I say that enough) the way this smells! Every time I used it at night it always reminded me of sitting on a beach with a bunch of tropical fruits before me and their sweet citrus scents. I loved using this in the shower at night. The texture was grainy due to it being a scrub (duh) and was cream in color but nonetheless it did apply on smoothly. The ONLY issues I had with this is that it took a lot of water to rinse of completely. So when I was showering again in the night, this did not come off completely no matter how long I stood under the faucet. At times I found it lingered around my neck and chest as it washed off my face. I guess due to it being so grainy was the reason why it was hard to come off. It reminded me of thick wet sand which wasn't so bad, however I really needed to scrub it off before coming out the shower. I used this every night in my skincare routine as I felt it worked well to take off my makeup and dirty from the day. Verdict: I would recommend this product again, however they really need to work on the texture so that it washes off much easier. Please note this serum has changed from when I first bought it back late last year. Details: "We’ve brought you the best of the best in acne treatments to effectively clear breakouts without irritation or harsh, drying ingredients like benzoyl peroxide. Our unique and powerful acne fighting formula uses patented ingredient Arophira® to increase cell turn over and balance sebum production. This new, advanced ingredient uses concentrated natural sea fennel to produce retinol-like activity in the skin without the drying side-effects of retinol, thus providing acne reducing and anti-aging results for oily, acne prone skin types. Also uses gentle concentrations of salicylic acid and black willow bark extract to regenerate the skin in a healthy way thus clearing the skin, evening skin tone and healing imperfections. Helps reduce scarring and improve texture and tone of the skin. Blended with Vitamin B3, E, and soothing organic aloe and green tea to soothe redness and moisturize the skins barrier. This is truly a formula like no other"
My Review: When I used this serum back in May I didn't really see much of a change to my skin with it. I am not to sure what was the point of this serum because it seemed like a lotion I just applied on my face. However it smelled HORRIBLE! I had a hard time every time putting it on. Now grant it I was pregnant at the time and sometimes smells can turn a pregnant woman off. However I doubt if I smelled it again, it would actually change my mind. I didn't like the pump to much as I felt it pushed out more product then what was needed. So I always only pumped it half way to avoid getting a bunch of it on my hands and wasting it. It came out in a yellowish like texture that was a bit watery but not to much. The formula of it didn't seem all that great and nothing special about it that made me want to write home. I used this every morning and every night in my skincare routine. According to their site, it seems as if they have changed the formula and the ingredients do seem different from what I remember reading from May. They do seem promising and as if they actually produce a change when applied on your face. Verdict: Would I recommend the old serum? No. Would I recommend the new serum? I would have to try it out and see but it does look promising. Details: "INTENSIVE Organic Cream Eye Treatment with Haloxyl® and Eyeliss® is a cutting edge advanced treatment for the care of the delicate skin of the eye lids and under eye areas. Fine Lines and Wrinkles INTENSIVE fights wrinkles without Retinol which can be too harsh and irritating to delicate skin around the eyes. Treats fine lines and wrinkles with copper peptides and antioxidants Roobois Tea, Acai and Vitamin E to repair sun damage and provide the skin with important antioxidant stress and immune support." My Review: This eye cream did something for me that I never thought I would see in my life. Waking up every morning without puffy eyes. I was amazed on how well it dealt with the puffiness and swelling around my eyes. It didn't have the greatest smell either, however for what it did to my eyes, at this point I could care less what it smelled like. The ONLY draw back about this was the pump. This pump is HORRIBLE! Many times I would squirt the pump and it would go flying literally across my bathroom onto the walls or towels. This eye cream is not cheap and retails at $38 when bought separately. For $38 (shy of being $40) I don't appreciate it when my wall is getting an eye treatment it doesn't need. It would be helpful if the company took a good look at this pump and fixed it. For the amount of money it cost, I think we would all like the full benefits of it to be used on our eyes. I have read many complaints from other people saying they had the same problem with the as well. In order to avoid this serum flying across the room, I had to pump it half way and very carefully. Yet at times it would slip and I would drop it causing more serum to land on the floor (just great). This was a hassle during the day when I was getting ready for work. Who has time for that. Besides the pump, the rest was great. However I didn't see a change in my dark undereyes circles. But if you know how dark undereye circles work; the majority is genetics and nothing really can be done for that. However keeping your undereye area well hydrated does help improve it to a point. I used this every morning and every night in my skincare routine. Verdict: I would recommend this eye serum because of how greatly it worked to reduce swelling and puffiness. However the pump is horrible and for $38 for it to end up on my walls, towels and floor they really need to change this. It was to much product wasted and to much of a hassle to use, and time is money for me. Details: "Rejuvenating facial treatment with the fragrance of fresh rose petals. 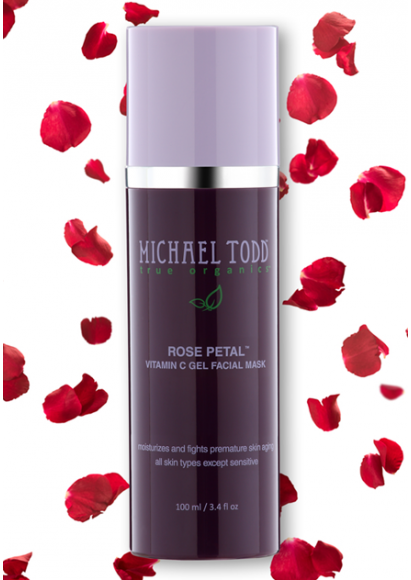 Rose, a natural source of Vitamin C, is blended with Acai and 10% Glycolic Acid to moisturize, remove impurities and provide antioxidant protection, exfoliate, firm and add brightness." My Review: This mask is pricey for $34. However the amount you get in the bottle is so well worth it. I love the smell of this mask and how smooth it goes on. It comes in a pump that comes out like a gel texture and all you need is one squirt to cover your whole face. I use it 1-2 times a week to deep clean my pores. I left it on once for 30 minutes and didn't even realize it. It doesn't harden to a concrete state, therefore you can still talk and go about your business. It washes off so silky and smooth that if leaves your face soft to the touch. I love the fact that it has vitamin C and 10% Glycolic Acid (AHA) in it. This is what sold me, the amount of AHA (10%) in it because it truly does sit on your face to make a difference. Its just not another mask that simply goes on and washes off without no real effect. Verdict: I would for SURE buy this again and recommend it. This mask is amazing and feels even better when applied and washed off. 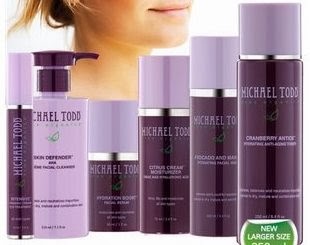 Overall, I love the Michael Todds True Organic line and would recommend it to anyone. Especially the eye cream to deal with puffiness! That will be my HG eye cream even though, I HATE the bottle.